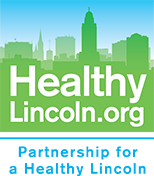 As a founder and President, Bob Rauner has helped grow Partnership for a Healthy Lincoln through developing city-wide partnerships that have collectively delivered a positive impact on the health and wellness of the Lincoln community. Dr. Rauner earned his medical degree from the University of Nebraska Medical Center and a master’s degree in public health at Johns Hopkins University, studying how to systematically improve the health of Nebraskans. Read more. Tami Frank oversees financial operations and grant management. Tami has a B.S. in Business Administration with an emphasis in Accounting from the University of Nebraska. Tami also serves as program coordinator for PHL breastfeeding initiatives and is a Certified Lactation Counselor. Read more. Mary Jo Gillespie oversees and coordinates health data operations. Mary Jo has a B.S. from the University of Nebraska in Nutrition and Management and is a Registered Dietitian. She has also earned a Masters in Public Administration and is a Certified Health Coach. Read more. Julie Pearson Anderson oversees community health messaging and communications for PHL. Julie has a B.A. from the University of Nebraska with a major in English and minors in Business and Marketing. Read more. 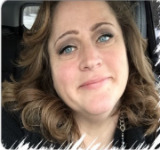 Pamela Mueri oversees nutrition and fitness outreach efforts within the LPS Community Learning Centers and faith based schools, working with afterschool programming and school-based food service to increase fitness and healthy nutrition. She has an Associates Degree in Food Service & Hospitality with an emphasis in Nutrition from Southeast Community College. Read more. 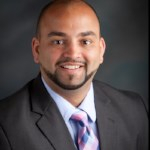 Ron Childress oversees data collection and analysis for PHL's cancer screening and school wellness initiatives. Ron earned a B.A. in Economics and a M.S. in Agricultural Economics from the University of Kentucky. Read more. Suzi Stout works within the larger community to promote healthy eating and active living through Streets Alive!, our annual health and wellness outreach event. She also works with youth in after-school programs promoting child nutrition and fitness. Suzi has a B.A. in Marketing and an A.S. in Food Service and Hospitality with a focus on Dietetics. Read more. Veronica Cockerill provides office administration and assists with the program coordination of Streets Alive!. She has a bachelor's in Marketing and International Business. Read more.